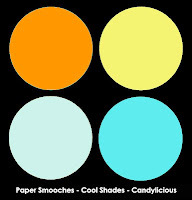 I basically drew inspiration from how the colors were laid out in a color block fashion and added a bit of brocade clear embossed pattern from Skipping Stone Design's Timeless Texture set (which I am going to enter for Damask & Brocade Challenge in the Moxie Fab World!). 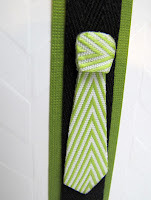 The thick twine was added with knotted ends to further enhance the beach feel and a sentiment from Christmas Song. There is a special day in mid-May where my mother, sister, aunt, grandmother, cousins and a few friends gather at a local greenhouse to pick out flowers and plant away! Gardening is one hobby that every one can excel at! 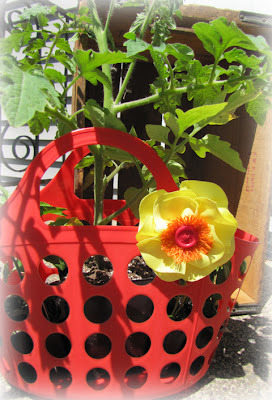 This past year my very talented aunt found some fun vinyl baskets and I thought to show you today how to dress one up with a custom flower with ribbon made from May Arts. 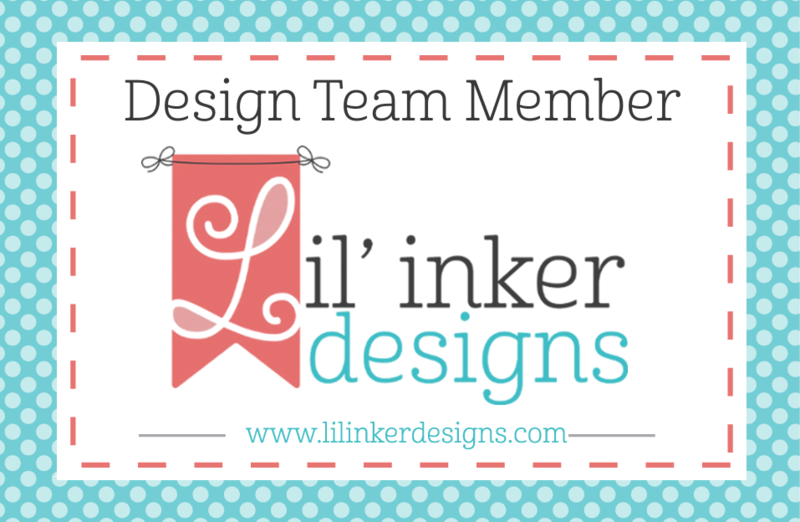 Did you hear that May Arts is having a design team call? I have loved being on the team this past year and would love it even more to continue on for next year! So let's get started, shall we? For the flower, you'll only need a few items. Gather up your ribbon: which would include ~ 2 feet of 1.5" grosgrain ric-rac, ~6 inches of 1/2" colored woven burlap and ~5 inches of burlap string. 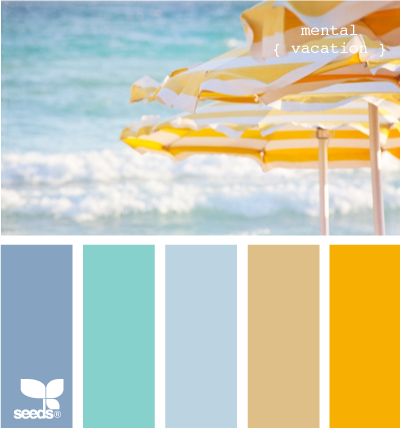 May Arts offers a variety of colors in each of the styles, so have fun choosing a bright and sunny color combination to suite your needs! Start by cutting the ric-rac into two inch strips. You'll need about 17 or so of these, depending on the fullness of the flower. 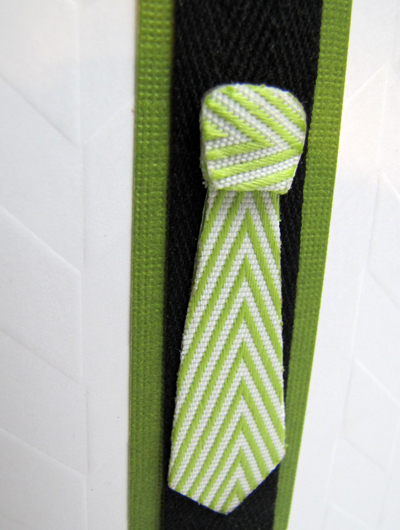 I used the Imaginisce Ribbon Cutter, it gives such a clean cut to your ribbon by slightly burning the edges to prevent fraying. Next, onto the easy assembly of the flower! 1. Gather two edges of your ribbon and glue together (hot glue works perfect for this!) 2. 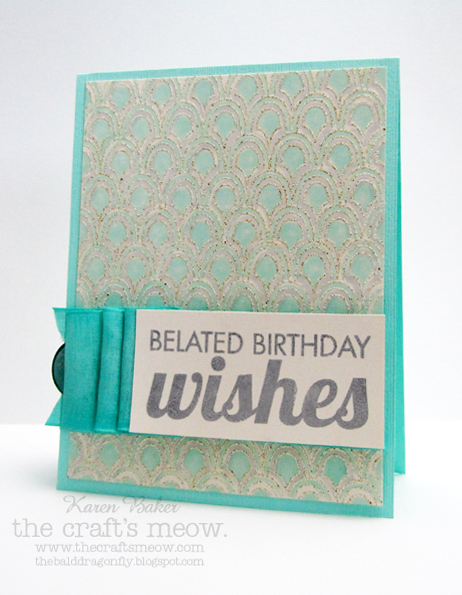 Adhere the ribbon petals to a cardstock circle in a round about fashion until the base of the circle is covered. Complete two more layers by gluing petals on top of the base petals, with each layer using less petals. 3. For a bit of whimsy, I decided to forgo the center layer in grosgrain and instead cut five one inch pieces of the burlap and slightly frayed on end. 4. I glued these to the center of the ribbon also in a round about fashion and topped the true center with a large button threaded with burlap string. 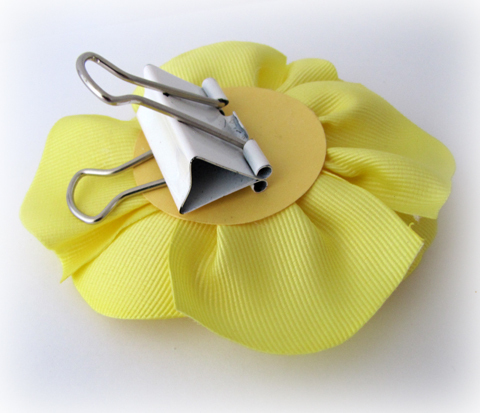 To make the flower function as a clip, I simply hot glued an office binder clip to the back of the cardstock. Other alternatives for this flower would be to use a felt circle base instead of cardstock, and adhere an elastic band (large or small) to create a cute hair holder or headband. 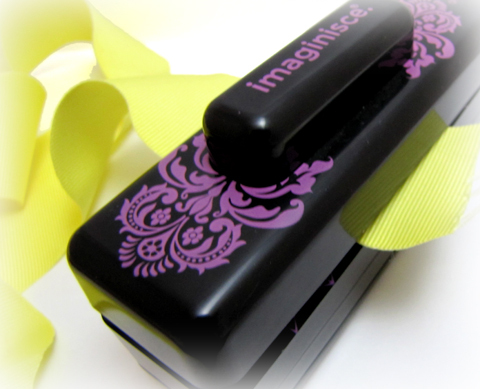 What a cute gift this makes, don't you think?! You can find more details about the May Arts Design Team blog here. 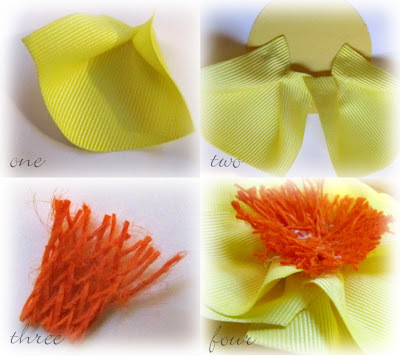 Please see my other posts showcasing May Arts Ribbon, they can be seen here, here and here! 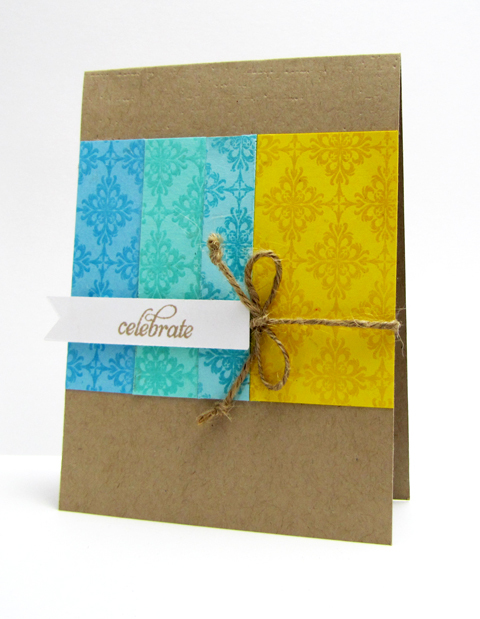 Also, May Arts has teamed up with Core'dinations cardstock! 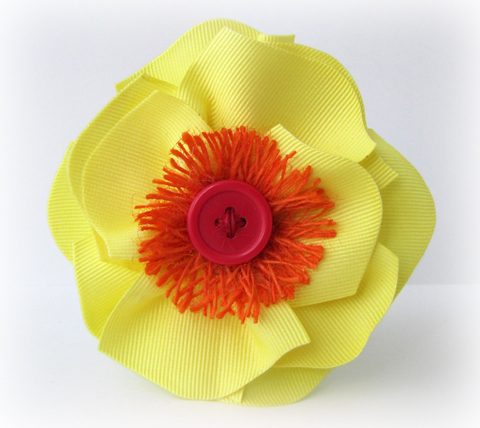 I made a paper corsage, and you have the opportunity to win product from both fabulous companies by just leaving a comment! I'd really love to know what you think of my flower clip and tutorial in general, and I so very much appreciate your comments! 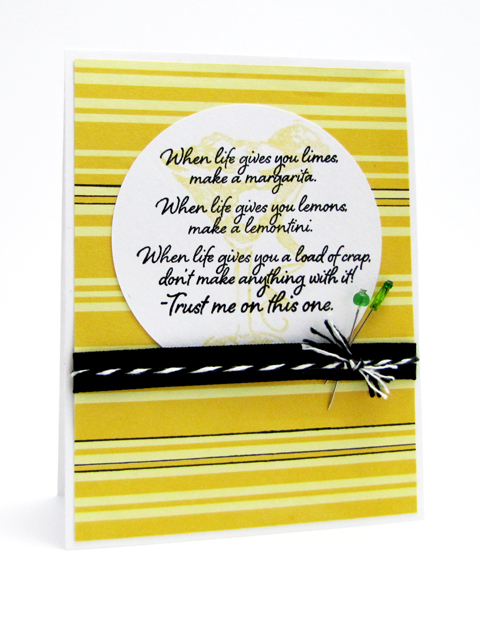 You know what is so brilliant about Artful Delight's Card Kits, other than the fact that it is just plain awesome and way affordable?! I think it is the fact that that you get the best of both worlds, a match made in heaven. The kit has the trendiest, the newest supplies and you get to pair the contents with your favorite, treasured stash. 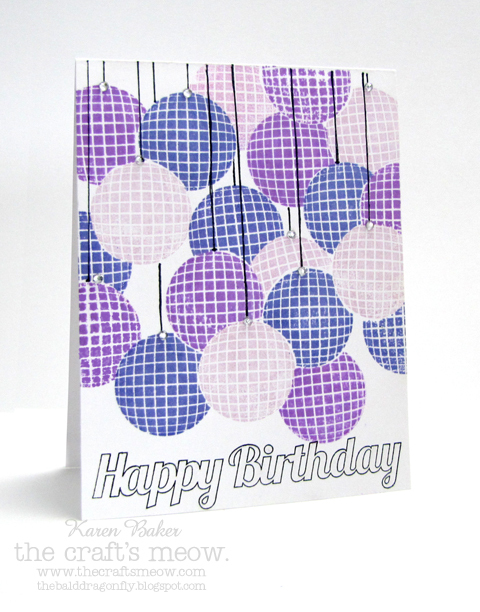 I chose to use the colors from the latest Paper Smooches Sparks Challenge to drive my card above. 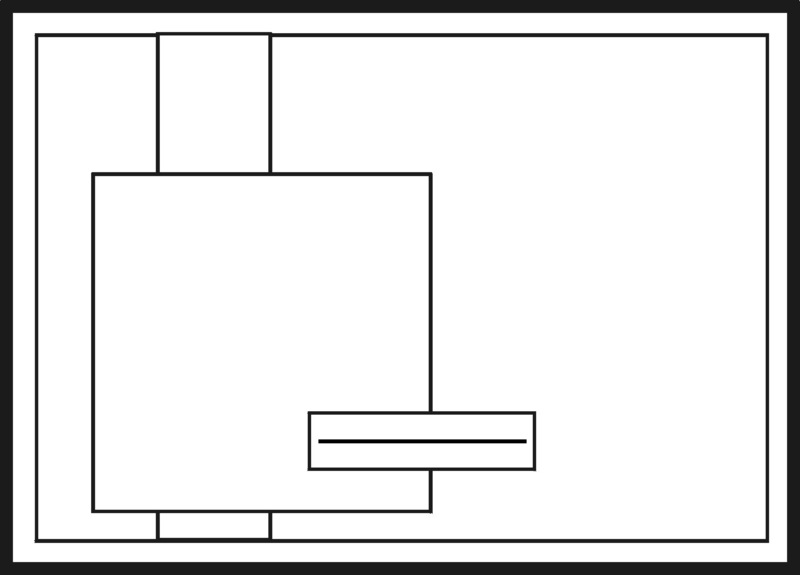 I started with a trimmed piece of folded cardstock and made three scored lines at even intervals, bordered by two drawn black lines. Kind of was going for a shoe display in the shoe store feel. Then I stamped the shoes from Pretty Mommas (the set included in May's Kit) in various colors, and finally a sentiment from another Paper Smooches set. For a touch of fun and whimsy (and to bring in the fourth color) I added a small rhinestone to the last shoe. The Artful Delight June kits were just revealed yesterday! Check them out here before they are all gone! The Artful Delight Monthly Card Kits aren't just for cards! Please stop on over to the Artful Delight Blog to see how I made this necklace using an item from the May Kit! 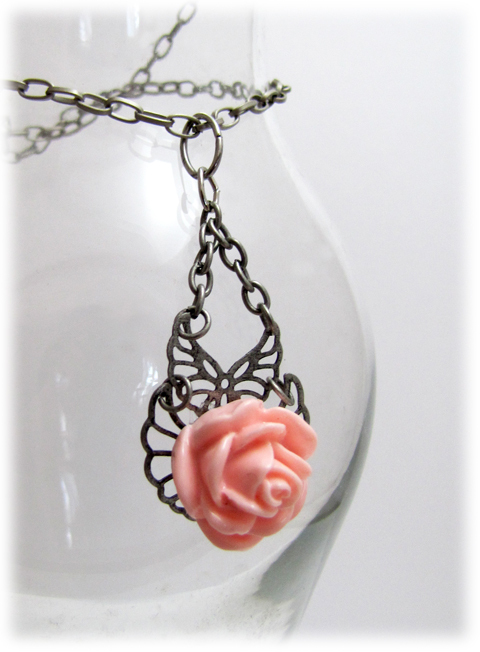 Of course, the kits are designed for card makers and I just had to make a card to give with the necklace. 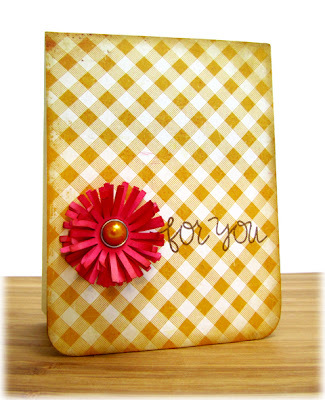 Playing off the vintage/clean and simple vibe, I altered just a bit one of the beautiful blooms included in the kit, covered some card stock in the kit with a piece of large gingham patterned paper (also in the kit) and stamped it with a sentiment. I'll be linking this one up to the CAS-ual Fridays Challenge as well as Moxie Fab World's The Gingham Challenge. Hello, hello! Welcome to the party. Please hang your coats and hats on the rack, slip off your shoes, grab and drink and make yourself welcome! We are celebrating the new release of Grapeful by Skipping Stones Design and The Twinery is here to add to the fun with a special blog hop! 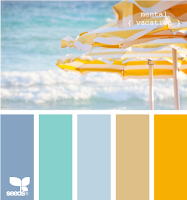 You should have arrived from Ashley Bores' blog if you are hopping along! Skipping Stones Design is also having their regularly scheduled fun sketch challenge this week! (Please join along, the regular rules and details apply!) Because I was planning for the party by cleaning house (just imagine right along with me please!) I ran out of creativity and for me right now it is ok. 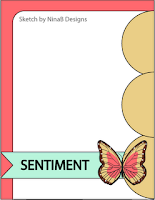 I showcased some of the fun sentiments in the new Grapeful set, and added just a little bit of twine in a classic way. I did nix the bow, however, and opted for a bit of a tasseled look. There is a few details you should know about the hop, which started yesterday. Up for grabs, chosen at random on all comments left, is a Colorful Bunch Sampler Pack from The Twinery as well as the new Grapeful Skipping Stones Design plus another stamp set from Skipping Stones Design! The deadline for leaving comments is 11:59 pm EST, Friday, May 25th. The winner will be announced on The Twinery Blog on Sunday, May 27th. 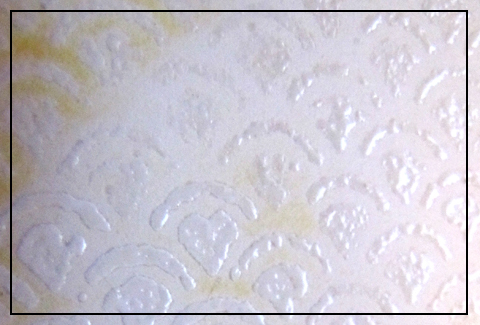 Also, Skipping Stones has extended their PMS Stamp Sale, which you can read about on the Skipping Stones Design Blog! Your next stop on the hop is Jen Carter! Have you enjoyed The Craf festivities so far? Today is the last day of the May release and we are celebrating with a blog hop! 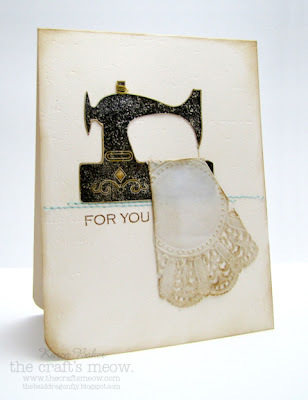 You should have arrived from the talented Julie Ranae's blog. Did you know that you have the chance to win the entire release by visiting and leaving a comment on each blog on the hop? Thank you for your lovely comments yesterday regarding the two sets I designed for The Craft's Meow. I really hope that you will love working with them as much as I have! The card I'm featuring today showcases images from Retro Foundations. I masked and stamped repeatedly the circle image in the set (which could be considered a disco ball....) in a few purple hues and finished with a sentiment and hand drew in the strings/cords for the lanterns. I also added a bit of sparkle with a pen, but unfortunately, my camera didn't pick that up as well as some rhinestones where the string met the lantern for additional sparkle. A few details before I send you to the next stop: yhere's a full list of participants and the order on The Craft's Meow Blog and, the deadline to comment is 9:00 PDT, Wednesday, May 23rd. 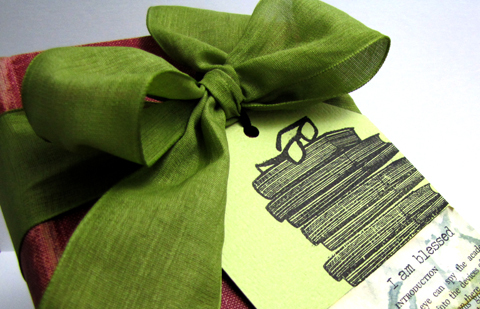 Typically Teen is May's Gift with a $50 purchase from The Craft's Meow! 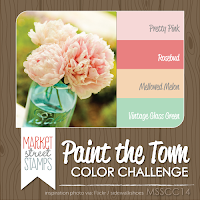 Ok, prepare to be inspired as I send you over to Lindsay Amrhein's blog! She's the next stop! I'm terrible at sending out cards that I make. It's not for lack of having cards on hand (because I have them coming out of my ears! ), it's not for lack of wanting to send them out. I just don't seem to send them. Is this a common occurrence for other card makers as well? One of my goals as a stamp illustrator for The Craft's Meow is to fill some of the voids out there as far as stamps go in this industry. 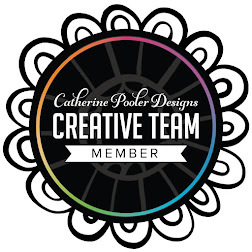 I am truly blessed to be able to design for such a fabulous company! 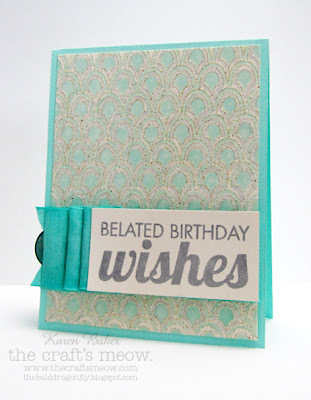 Today The Craft's Meow is releasing two sets I designed, the first is called Retro Foundations and it has some cool, funky background builders and really great belated birthday sentiments! I made the background on my card today using one of the background builders from the set. The other is called Typically Teen, again, this set has some really fun teen inspired background building elements and some trendy sentiments (which are also great for graduation and encouragement too!). I hope you will enjoy them as much as I do! Once again, there's a full list of sneaks on The Craft's Meow Blog an links to the wonderful design team, including illustrators and our guests, the talented Annette Allen and Sharri Seffens. Please be sure to stop by The Craft's Meow Blog for more details too on how to win the sets being showcased today! And guess what?! 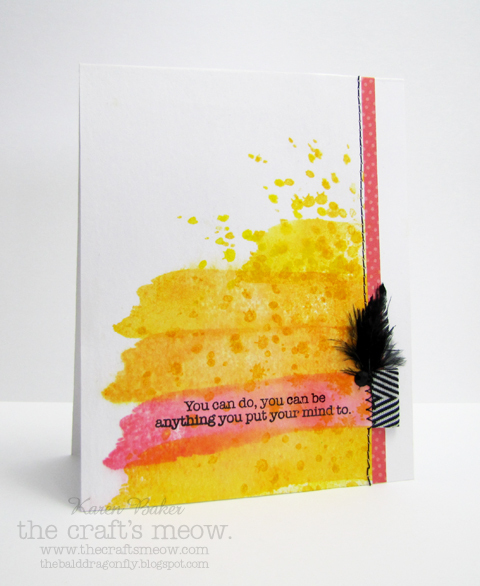 Typically Teen is May’s Gift with a $50 purchase from The Craft's Meow! When we were first married, my husband and I had a hand-me-down kitchen table and I always thought that I was a bit of high class as it was usually covered with a linen tablecloth. 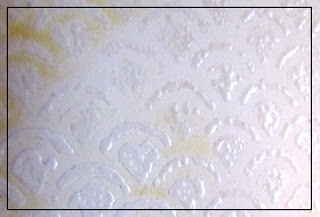 Of course, the reality was that the table top itself was in really rough shape and the cloth hid all the marks! Once again, there's a full list of sneaks on The Craft's Meow Blog and links to the wonderful design team, including illustrators and our guests, the talented Annette Allen and Sharri Seffens. Please be sure to stop by The Craft's Meow Blog for more details too on how to win the set being showcased today! Tomorrow is the reveal of projects created with two stamps sets that I designed for The Craft's Meow, please be sure to stop by! This week has been a fun week of season finales of my favorite TV shows (i.e. Criminal Minds and Grey's Anatomy) for me and I'm ending it in a fun way as well with more cards featuring the June Release from The Craft's Meow. There are two perfect stamp sets being released this month for the upcoming Father's Day, and perfect for creating masculine cards as well! 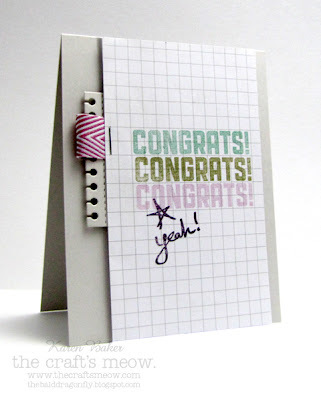 I thought it would be fun to show that these sets could also be used in a general format as well, by creating a congratulations card (perhaps for a teen that has passed a major test?) and a teacher or book lover tag. There's a full list of sneaks on The Craft's Meow Blog and links to the wonderful design team, including illustrators and our guests, the talented Annette Allen and Sharri Seffens. Please be sure to stop by The Craft's Meow Blog for more details too on how to win the sets being showcased today! 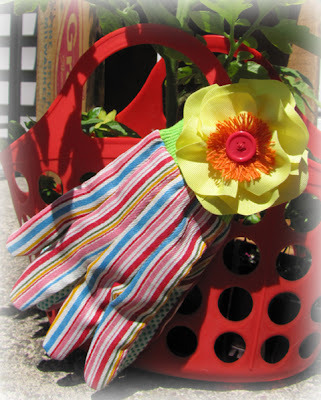 Both projects feature some easy go-to uses of May Arts ribbon as well. (Did you see that they are having a design team call?) 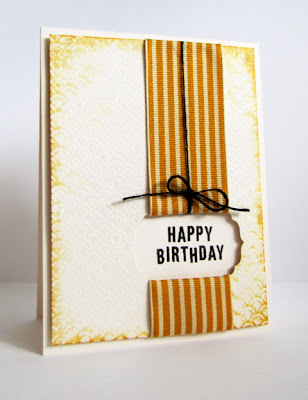 I used a scrap of 3/4" wide trendy chevron striped twill on my card in a tab format-one of my favorite ways to add a punch of color, pattern AND texture without bringing too much bulk to a card. And the tag is tied onto a book in a big bow format with the fun, 1.5" wide moss green linen ribbon available at May Arts. 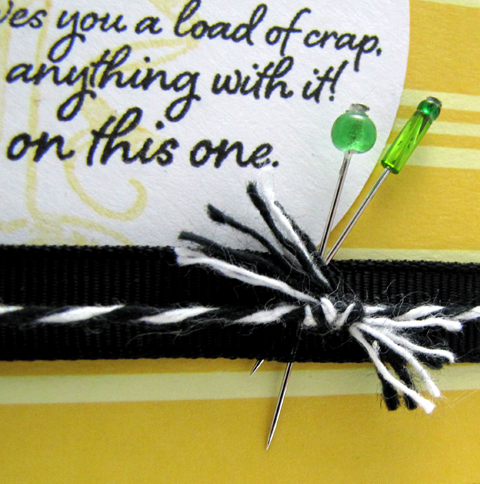 This ribbon keeps its shape yet is flexible and makes a big impact which is perfect for dressing up a simple gift and tag. For me it was the many awesome texture and background stamps available at Skipping Stones Design! Yep, I'm talking about Grunge. 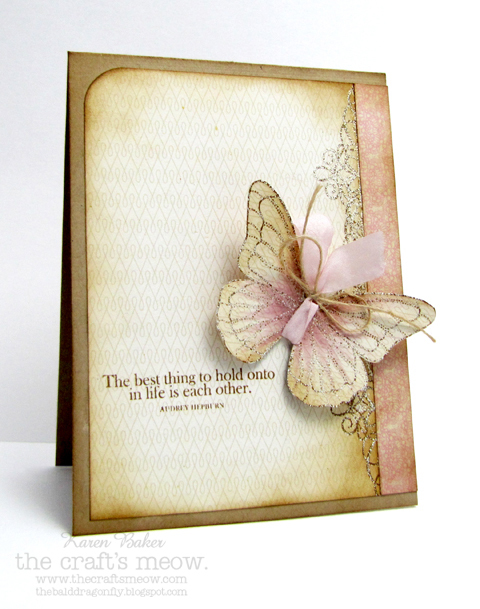 It is not just a masculine stamp set, there are a lot of possibilities to dress the set up, such as tone on tone heat embossing for a lacy effect. Ooh, pretty! I encourage you to bring out those stamps sets that you *had* to have and use them again if they've fallen to the wayside. Something gorgeous could happen and I'd love to see it! "Red sky at night, sailor's delight. Red sky at morning, sailor's warning." Ooh, it's going to be so much fun here for the next couple of days as The Craft's Meow designers showcase sets from the May release! I'm in love with silhouettes at the moment, I think they are so classy and elegant. I just about squealed when I saw Nina B. 's set, Flower Garden, love the large scale and silhouette possibilities included in this set and new right away which direction I was going to take. 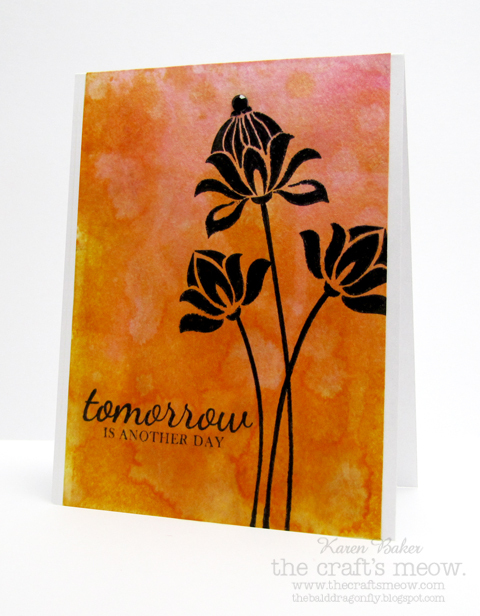 I stamped a few of the stems and blooms in a rich black onto some distressed paper and added a sentiment from last month's released set, Inspired by Audrey. There's a full list of sneaks on The Craft's Meow Blog and links to the wonderful design team, including illustrators and our guests, the talented Annette Allen and Sharri Seffens. Please be sure to stop by The Craft's Meow Blog for more details too on how to win the set being showcased today! My husband said to me one fine spring evening: We have a smart cat. To which I replied: We do, do we? He's smart because he sleeps all day and is fluffy and fat? My husband said: No, I was being sarcastic. He thinks that no birds can see him. Look outside the window. And I looked outside our picture window to see our big, fluffy, black cat sitting patiently under the bird feeder, looking up, as if his big, fluffy, black body was camouflaged in the newly cut grass. Oh, there's always entertainment of some sort to be found at my house. I love bird images, and was delighted when Judith chose Heartsong 2 to work with. 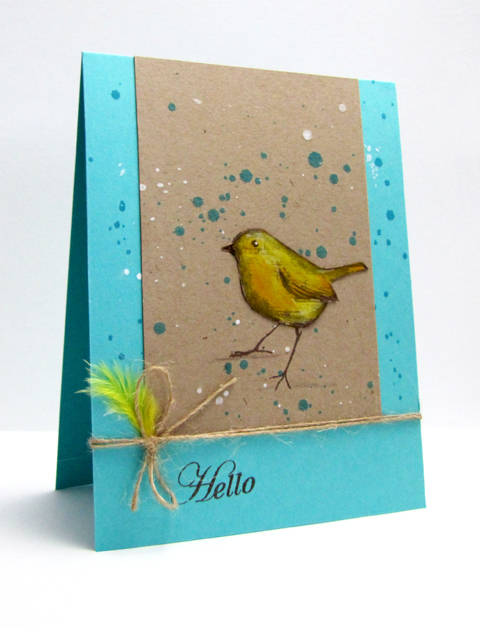 I stamped one of the bird images and colored him in with pencils, after masking and performing a bit of splatter work for the Moxie Fab World's Splatter Technique Challenge. The panel was added to a splattered cardstock base, a sentiment stamped and then it was wrapped with May Arts natural burlap string, and I had to throw in a itty bitty yellow feather as well. 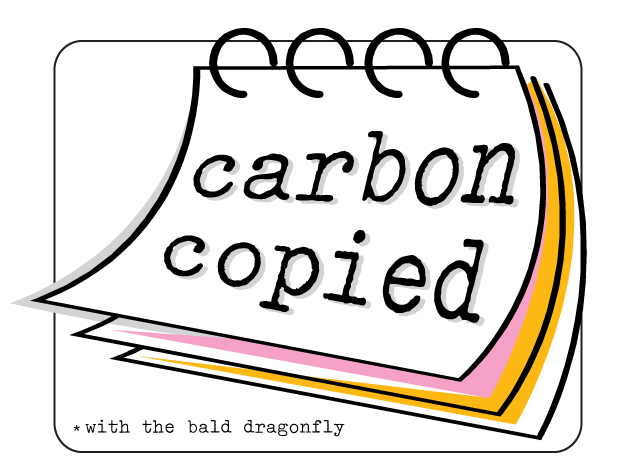 I invite you to visit Judith's Blog to see her take on the Carbon Copied post, as I know you won't be disappointed. 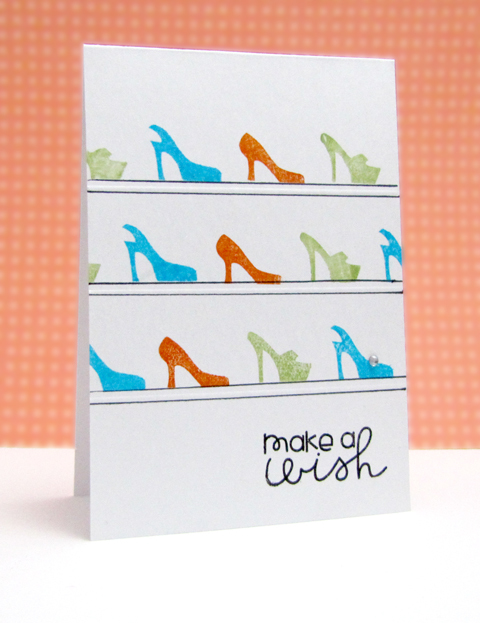 Her cards range from beautiful and elegant, to quirky and clean and simple. Let me not forget to mention that Judith is one super nice and amazing person as well! In other news, May Arts has teamed up with Paper Crafter's Library to feature paper crafted ribbon projects. 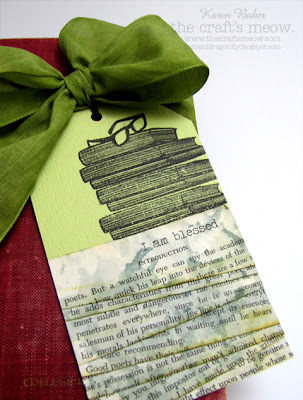 I have a mini-tutorial up on Paper Crafter's Library. 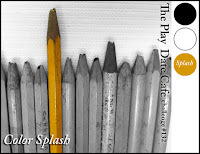 Time for another fun Skipping Stones Design Sketch Challenge! Details about the challenge and prize, along with amazing samples from the guest designers and design team, can be found at the Skipping Stones Design Blog! 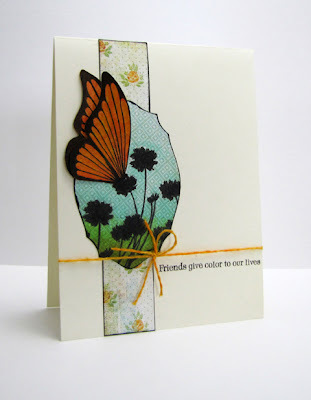 I started by stamping one of the butterflies from Healing Wings twice onto patterned paper and after trimming them, adhered them just at the base to a stamped panel with flowers from Beautiful Botanicals. I used some patterned paper from the cute Picadilly collection from Basic Grey (inspired by the Basic Grey Challenge Blog), and the colored strands from Lemondrop Twine from the Twinery to finish my design. Oh, and my mother is a master at the folding of fitted sheets as well, but she lives so far away that I might have forgotten how she does it! While the big boys are away, the little one and I get to play. When asked what he wanted to do while my husband and the oldest were out fishing, he responded "Let's make some cards for Grandma!" When he makes cards he gets free rein of the typing paper and a bag of wooden stamps that I no longer use. He is so careful now to wipe off the stamps with a baby wipe before inking with another color. He ended up with thirteen cards, I think, which he was so proud to present to my Grandmother who is recuperating from a recent surgery. He stood their with his chest out and eyes wide as she looked at each and every one and had a few nice words for each as well. 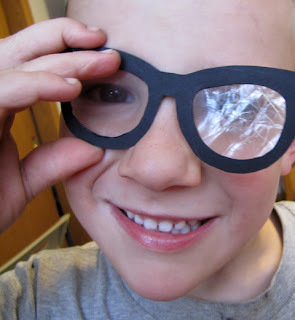 Moxie Fab World has a pretty fun challenge called Spectacular Spectacles. I drew out some old style glasses and for the lenses filled one side with plain acetate and the other I used the cracked glass technique over another piece of acetate. 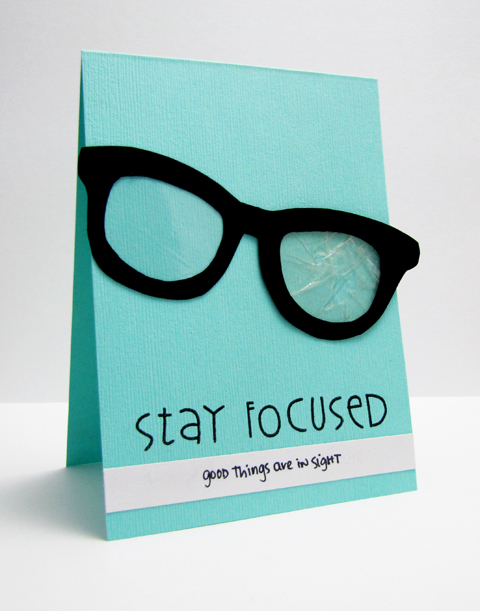 Since I had the broken lenses situation, I knew I wanted to make the card into some sort of encouragement card (for Gallery Idol)...things will be better soon, you've got to just get past the bad bout first... My husband helped with the sentiments-he's good like that sometimes, and was close by to make sure I executed them in the way he had imagined. Happy Mother's Day to all the wonderful seasoned mothers, new mothers and expectant mothers today! 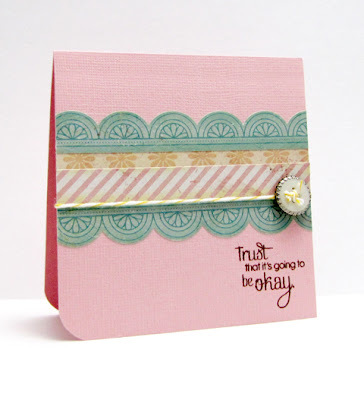 Can I just mention quickly how much I adore the May Artful Delight Monthly Card Kit? I was like a kid in a candy store when I opened the package to find all the goodies inside. From the wonderful solid paper, to the patterned paper, cute embellishments and fun stamp set. There is A LOT of goodies included in kit and it will probably take me until next May to use it all up! I still can't believe I'm on this team and get to experience and showcase all the goodies included in the monthly kits. Today I made a fun and cute, along with clean and simple card, that pretty much features all items from the kit. 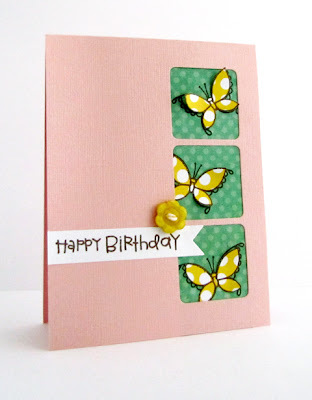 The pretty, pink Bazzill textured cardstock, the fun butterfly from Paper Smooches Pretty Momma stamp set, the really cool patterned paper from Crate Paper and Echo Park, along with a button from Crate Paper. Love that I can throw in items from my own stash too to help the card along, as in the banner die and trio window die. 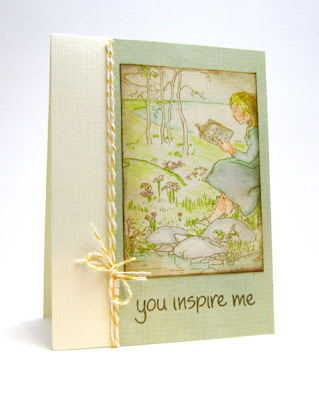 The May Kits are all sold out, but you do have a chance to win by entering either the monthly scrapbook layout or card sketch challenge hosted by Artful Delight! Details are here! 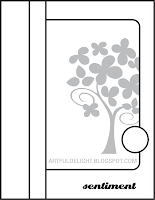 Also, Artful Delight is the proud sponsor of Lessology as well, there is a $40 gift certificate to the store up for grabs! 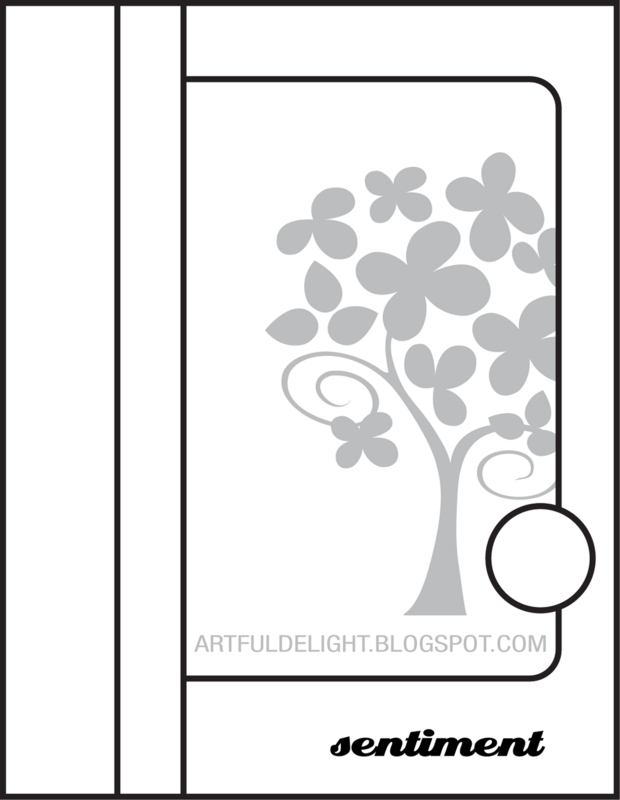 Additionally, Artful Delight is the sponsor of Frosted Designs, details are here! So many chances to win and experience these kits for yourself! I wrote this the other day and decided it was time to share it with you, my wonderful and dear readers (that I've never met in person but am so thankful to call friends). If you read my last post, you might have know I've been struggling lately with time management, and writing the following down has really put a perspective on things.